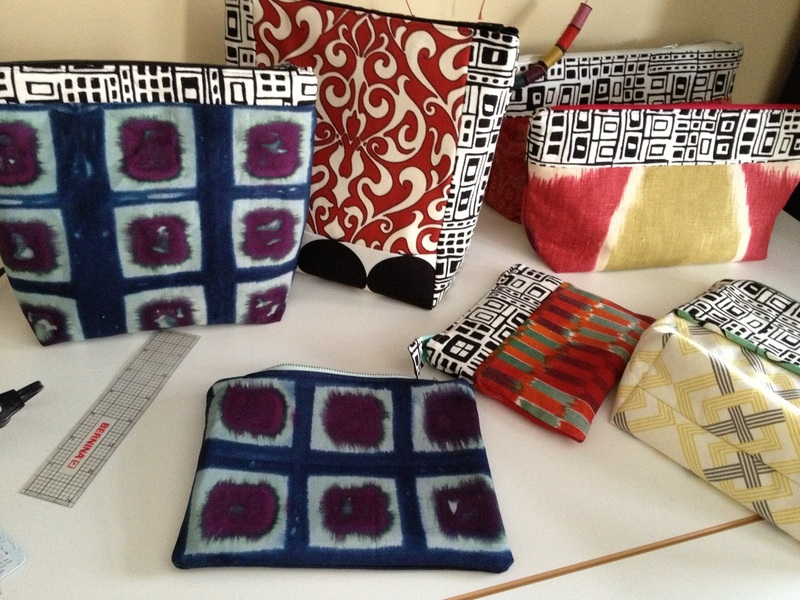 Each bag is unique, inspired by the fabric. They are designed and constructed by me, Janet Indresano, in my home studio. The fabrics I use are primarily a blend of home décor and cotton quilt fabrics. I have also been experimenting with leather. I also put my love of bag making to use by volunteering with B-More Bags, a wonderful fundraising project for House of Ruth Maryland. Working with the other "baguettes" is a great source of pleasure for me. Look for their Trunk Show & Sale every December. The 2014 sale is on December 6th at Ruth's Closet. 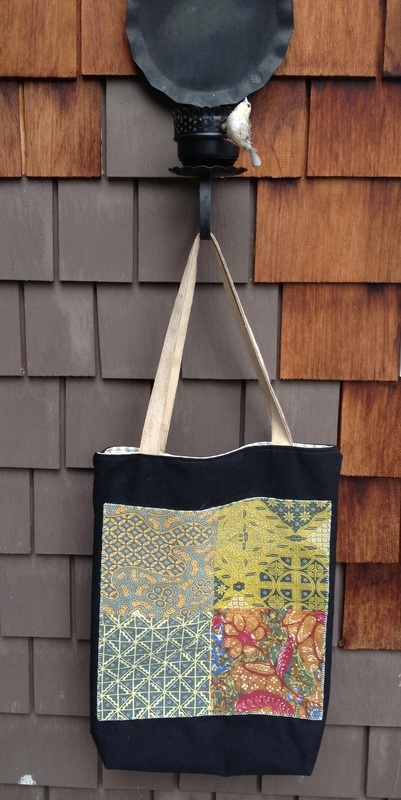 A tote bag made from batik fabric. 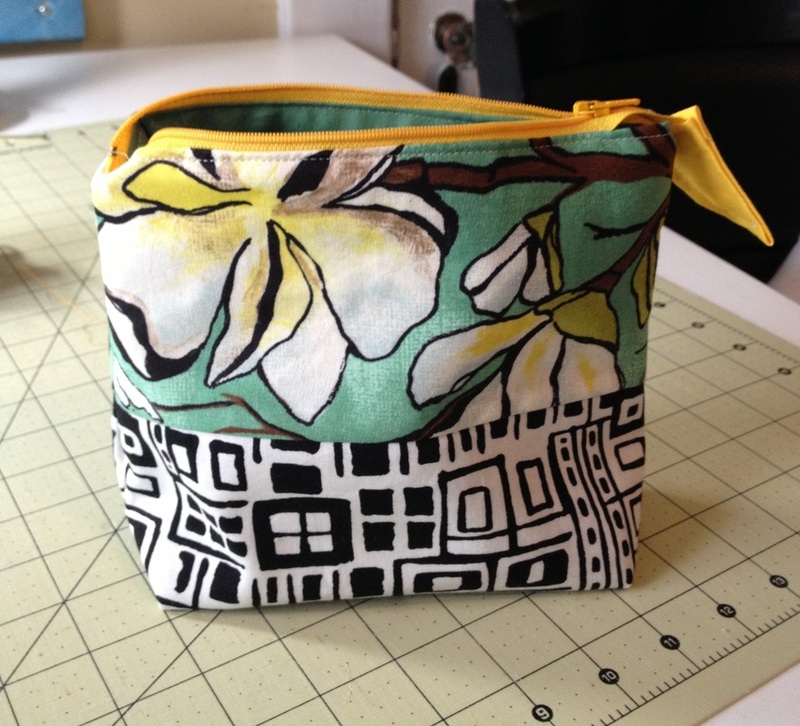 Floral & geometric cosmetic bag. Purse with leather straps and Japanese fabric pocket. 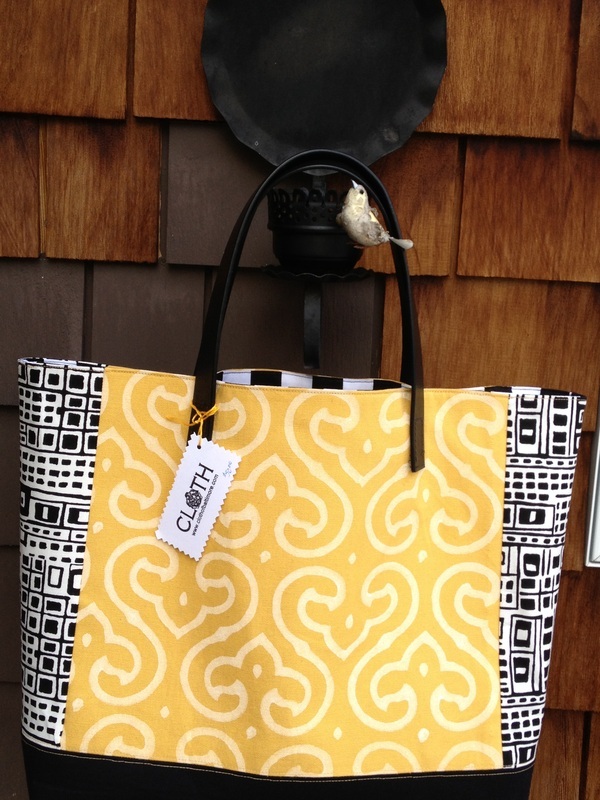 Tote with yellow painted fabric and leather handles.